A majestic hunt country estatenear Middleburg finds new life as an ultraexclusive event space. The exterior of the main entrance of the Manor House. "It’s more of a feeling I get when I take that turn onto the main drive and the splendor of the property unfolds before my eyes. It’s magical and gives me a chill every time I arrive,” says Jodi Moraru when explaining what drew her to the property. 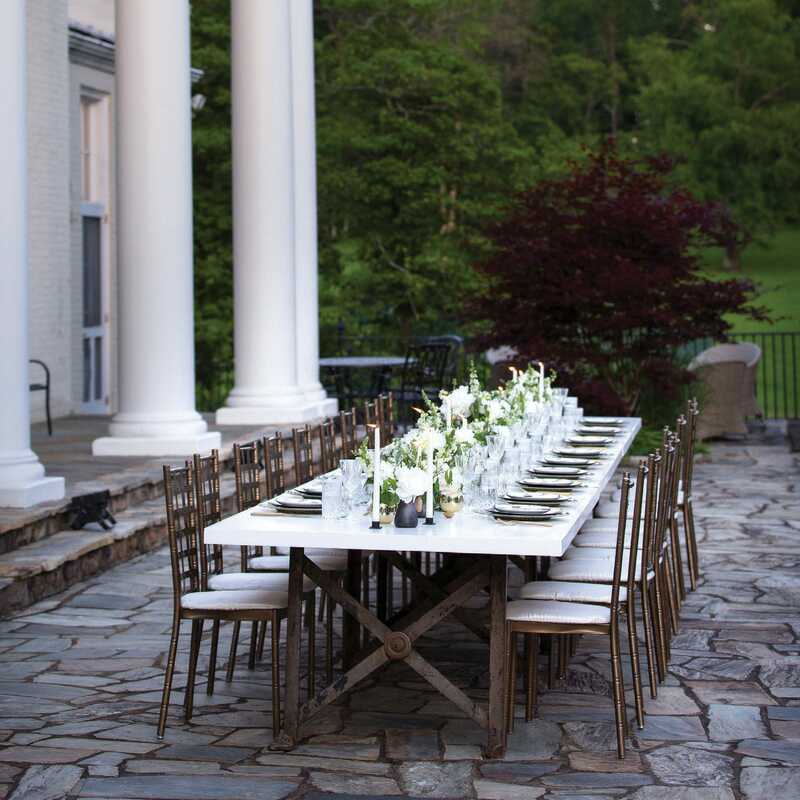 Moraru, along with business partner Suzi Molak, is part of the equation behind the reframing of Catesby Farm Estate from sprawling family manor to exclusive special event destination. 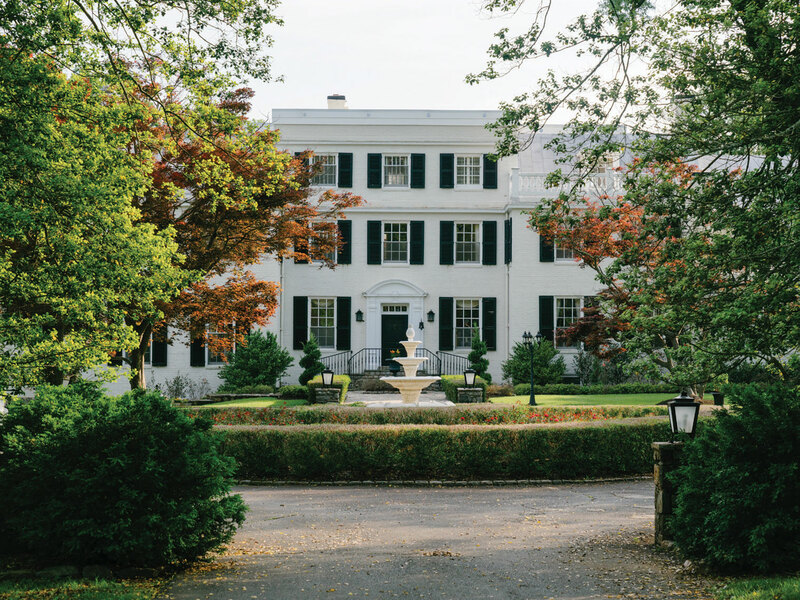 Built in the late 1920s, the property on Welbourne and Willisville Roads west of the Village of St. Louis includes 240 acres of idyllic rolling green fields with Blue Ridge Mountain views, accommodations for up to 34 overnight guests across five grandiose guest homes, picturesque 100-year-old artisan gardens, a swimming pool, tennis court and a pond for fishing or canoeing, among other hidden nooks. The Manor House foyer serves as a luxe check-in and greeting area. As an avid equestrian, Molak says it was the barn that caught her attention. “It used to be a working race track—now it can be activated for a rustic chic gathering,” she says. An inside ring and extensive paddocks remain adjacent to the barn. The property has had multiple renovations through the years. In 2002, it was purchased by the LaRose family. History permeates the land, which sits at the site of the Civil War Battle of Unison in 1862. 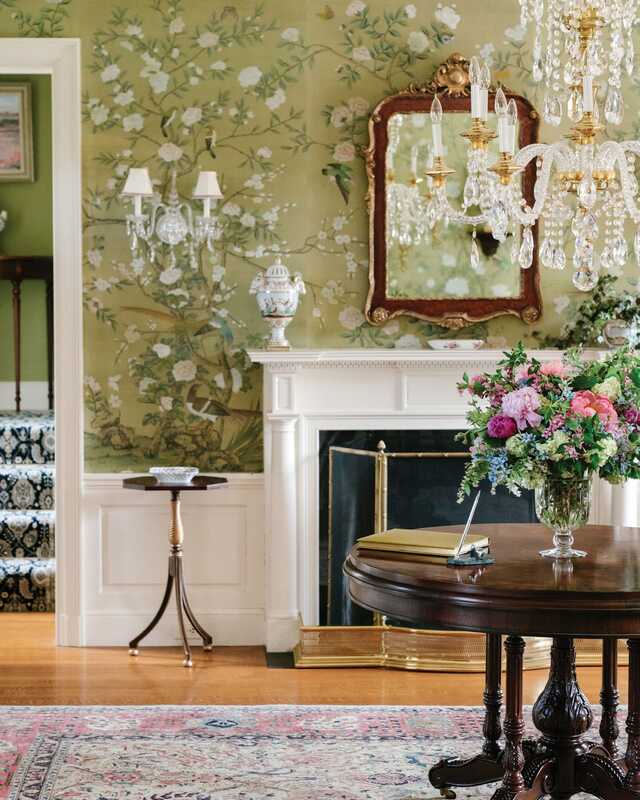 The centerpiece of the complex is the stately Manor House—it’s the oldest and most charming of the estate’s homes as well as its most intact historical structure, having escaped major renovation since conception. It serves both as a check-in area where guests are greeted and a time portal that provides a fleeting glimpse into the grandeur of Catesby’s early-19th-century roots. Full catering and event rentals can be arranged.